Saalfelden Leogang lies in the Austrian federal state of Salzburg. Over the last couple of years, Nordic sports have become an integral part of this region. Especially cross-country skiing is a fixed part in the life of many locals. Cross-country pros like Felix Gottwald, Simon Eder or Andrea Grossegger are proof of that. They all laid the foundation of their careers in Saalfelden Leogang. 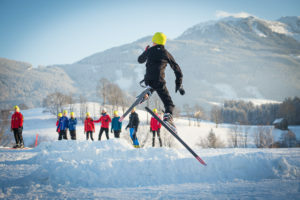 With the creation of the Nordic Park at Lake Ritzensee in Saalfelden, the region managed to offer its guests and locals an even more solid foundation for executing their favourite Nordic sport. In the past few years, Saalfelden Leogang has become a true Eldorado for cross-country skiers. At the beginning of 2017, the small town Saalfelden introduced the Nordic Park at Lake Ritzensee. 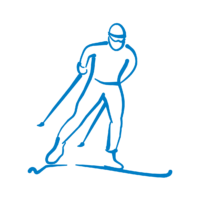 This way, they managed to combine the already well established network of cross-country skiing tracks with additional Nordic sports. 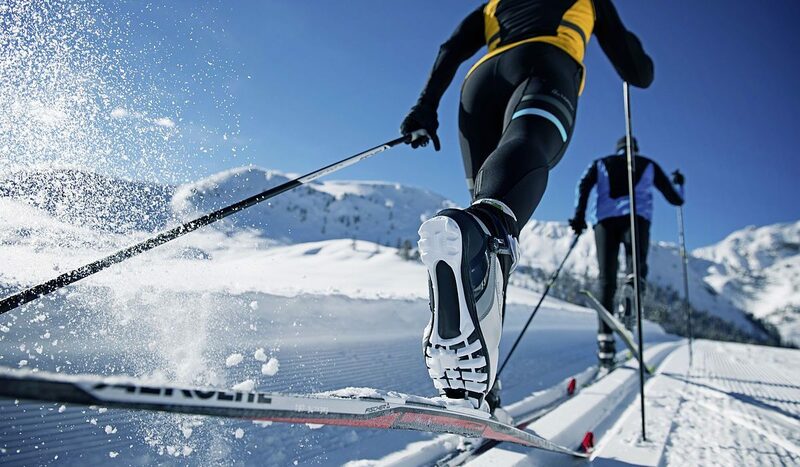 For cross-country skiers there is a 150 kilometres wide network of tracks. There are 18 different trails that are prepared for both classic and skating style and that are suited for beginners as well as pros. The most challenging one is the World Cup track at Lake Ritzensee. Even professionals like to prepare for their competitions there. The trail leads across ever-changing, very hilly territory and through woodland. Thanks to snow-making installations it is open until spring. It can also be used in the evenings because it is lit every day until 10 pm. There are numerous connecting trails which open up an even bigger area. Those tracks lead into the neighbouring villages Maria Alm, Maishofen or into the biathlon capital Hochfilzen. For example, you have the possibility to run from Saalfelden down south to Lake Zell and enjoy the beautiful panorama of the glacier Kitzsteinhorn. Another highlight is the Fun & Snow Park at Lake Ritzensee for the youngest guests. It is sprinkled with many different fun obstacles like turns, easy downhill runs, jumps and small hills. This way the kids can enjoy cross-country skiing in a playful manner. The most important side of the park is the fun and action factor. Because it is looked after by the local Nordic secondary school, it is perfectly tailored to the needs of children.